Classic Modern Portfolio Theory (it’s over 60 years old now!) advocates that investors should diversify their investment portfolio to reduce total risk at a given level of return. Increasing the number of asset classes is not enough in itself. The pattern of returns of the asset classes should also be distinct and different enough (uncorrelated) from each other to reduce overall portfolio volatility. To construct the optimal portfolio requires accurate data of variances, covariance and expected returns for each asset class over the long term. This is great in theory, but obtaining reliable data is difficult. Therefore, most investors and their advisers make asset allocation decisions in the context of incomplete information. To add to this context we should include the investment markets’ desire to benchmark its allocations and performance. No adviser to wholesale investors wants to be seen to underperform the market level of performance – that would risk them being seen as underperforming and risk losing the client mandate. This can lead to the market behaving as a group, or mean-reversion. There are essentially two schools of thought when it comes to asset allocation; strategic and tactical. Advocates of Strategic Asset Allocation highlight that investors are highly unlikely to be able to time entry and exit to asset classes perfectly in the long run. Imagine the investor that was heavily invested in equities in the US in 1929, it was not until 1954 that the US stock market indices recovered. Therefore strategic asset allocators advise that over 90 per cent of investment returns are determined by the weightings to each asset class, not to the timing of entry and exit into the different classes. For them the most important investment decision is how much to allocate to each asset class. In contrast, Tactical Asset Allocation advocates highlight the imperfect nature of markets and look to ‘tilt’ allocations to markets that are ‘under-valued’. Some professional investors are able to do this with great success; Warren Buffet and our own Guardians of New Zealand Superannuation spring to mind. In recent times there has been significant debate between the two schools of thought – especially in relation to the differences in the costs of the two types of asset allocation. Strategic asset allocation for equities in particular can now be virtually automated by computers running constant algorithms. As a result, the development of index-tracking funds or Exchange Traded Funds (ETFs) has gathered pace. As these are automated they are low-cost funds and track very closely the performance of the selected index. Tactical investment requires research-based market decision-making and expensive professional fund managers. As such tactical management is often a higher cost, it should therefore follow that the return performance is higher to offset the additional costs. For many NZ-based investors the asset mix has traditionally included NZ (or more probably Australasian) equities, global equities, domestic bonds, global bonds and cash. It is possible within those allocations to invest with fund managers that have different styles. For example, one might view the Australasian equities market to experience market imperfections due to its size. Splitting one’s allocation to Australasian equities between a passive index-tracking fund and an active fund (say a small cap equities fund) may help deal with these potential imperfections as an investor. In recent times the traditional asset classes have struggled to provide sufficient income returns to investors as bond yields have narrowed and the price-over-earnings ratio for equities has increased. As a result many investors have turned their attention to so-called ‘alternatives’. This broad category includes real estate, private equity, hedge funds, commodities etc. 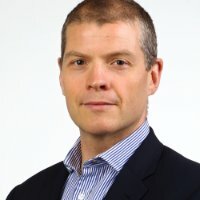 According to 2014 research by former head of Aberdeen Property Investors, Jon Lekander, adding these asset classes can contribute to the efficiency of the overall portfolio through diversification, liability-matching (for pension funds), inflation-hedging and increased returns stemming from investing in inefficient and illiquid asset classes. By applying professional asset management experience to identify assets that are undervalued, a skilled fund manager can buy them below market value and then hold and sell at above market value – a key strategy to increase investor returns. In a 2012 paper titled ‘Aligning asset allocation and real estate investment: some lessons from the last cycle’, UK academics Paul Kennedy and Andrew Baum observe that the methodology for devising an asset allocation strategy varies between various investors, depending on their definition of the investment universe as well as the objectives of the investor. Therefore for different investors the role of real estate will differ. Nevertheless, a 2009 study by European researchers, Niels Bekkers, Ronald Doeswijk and Trevin Lam, explores which asset classes add value to a traditional portfolio of stocks, bonds and cash. They conclude that an optimal allocation to real estate is in the range of 6.0-11.2 per cent (for different tracking error constraints in the range 0.5 per cent to 1.5 per cent respectively) of total investments. Moreover, as traditional portfolio theory views the allocations of the market portfolio (the aggregate of all global investments across all asset classes) as the optimal market-neutral allocation, an investor that does not include real estate within their asset allocation could be viewed as making an active bet that real estate will underperform. So, what sort of real estate allocation? The next decision to be made is how to satisfy the allocation to real estate? Listed real estate funds are often considered by investors looking to add real estate to their asset allocation, but many question whether this provides the diversification benefits intended due to the high correlation of the listed property vehicles (LPVs) to equities. It is arguable therefore that to allocate to LPVs merely increases the allocation to equities, thus reducing diversification not increasing it. There is a weight of evidence that shows that LPVs and private real estate investments have different components of return over the short and medium term, but over the long term the differences largely disappear. It is because of this, many argue, especially in NZ it seems, that for long-term investors, direct real estate funds (unlisted) do not reward investors with higher returns for the illiquid nature of the funds. Interestingly though, in a 2000 paper titled ‘Pioneering Portfolio Management: An Unconventional Approach to Institutional Investment’, David Swensen of the Harvard Endowment Fund sees direct real estate as a source of higher returns due to the illiquidity premium and the inherent inefficiency in the asset clas4. Perhaps most sensibly Tom Walker, co-head of global real estate securities at Schroders arrives at a middle ground by acknowledging that from a risk-return perspective, both forms of real estate investment have a role to play within a mixed-asset portfolio. Further, Kennedy & Baum find that real estate exposure should be divided into multiple pools representing distinct forms of the asset class. For individual investors, be they high net worths or charitable trusts, or any other type of wholesale investor, the relative allocations between listed property and unlisted property should be, in part, a function of their need to liquidate capital. Many intergenerational investors seek to protect long-term real capital, in fact some may be prohibited from distributing capital. Therefore, liquidity may be a lesser driver behind their asset allocation. No less important may be the risk profile of the fund, its governance structures, fee structure and the track record and clarity of strategy of the fund manager. Disclaimer: This information is not to be interpreted as an offer, invitation to make an offer, or a recommendation to buy or sell. This information has been prepared without taking account of your particular objectives, goals, financial situation or needs. You should seek independent financial advice before making investment decisions.